If you’re going to lose weight permanently you need to change how you eat - in ways that you can live with, feel good about, and come to enjoy. This means learning about food and healthy lifestyle, deciding what you are (and are not) prepared to change, and making your chosen changes into habits. What that means to you, is as individual as you are. At Weight Loss Resources we strive to provide the best, evidence-based, personalised tools and guidance to support you through that process of discovery, and help you lose weight in a sustainable way. 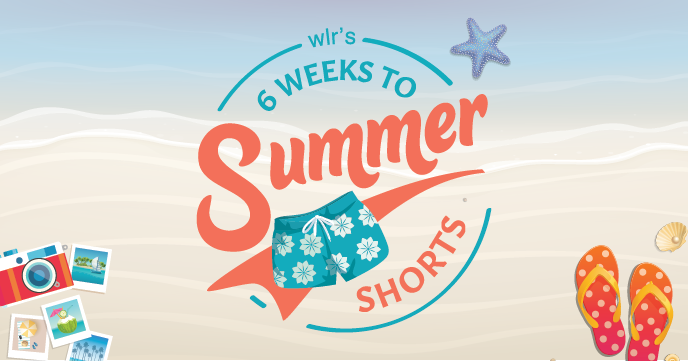 The easiest way to find out how WLR can help is to give it a whirl - you can try it free for 24 hours. Or have a look around and get a better feel for what we can help you to do. The resources below are some good places to start. Research shows that one of the most important factors that influences weight loss success is your attitude. 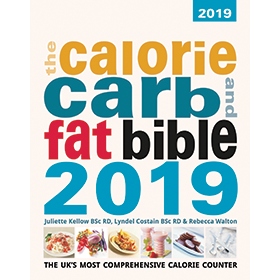 This section is written by one of WLR's dietitian's, Lyndel Costain, who has many years of experience helping people to get in the right mindset for weight loss. Popular pages include Lyndel's Quiz to help you asses how much you want to lose weight and What's the Right Diet for You? If you could lose 3lbs in 8 weeks just by drinking a glass of water before each meal would you do it? This research says it's worth a try. A study Pubished in the Journal of Clinical and Diagnostic Research1 found that drinking 500ml of water before meals led to a weight loss of 3lbs in 8 weeks. WLR dietitian Lyndel Costain reports on a study showing that the more food records people kept, the more weight they lost. Researchers at the Kaiser Permanente Health Research Centre in Oregon2 found that people who kept a food diary for six or more days per week lost twice as much weight as those who did not. Dietitian Juliette Kellow investigates research which suggests that going to work on a couple of eggs might be the way forward if you want to lose weight and shift those pounds. According to new research from the Rochester Centre for Obesity in America3 eating eggs for breakfast could help to limit your calorie intake throughout the rest of the day, by more than 400 calories. Ever wondered why you’re not losing weight, even when you’re taking regular exercise and putting in maximum effort each time? Juliette Kellow looks at research which investigates how exercise intensity effects what you eat. Researchers from the University of Ottawa4 looked at how easy and hard workouts affected the appetites of 13 women. Research from a US study has shown that people who were guided over what to eat lost more weight over 6 months than people using less structured guidance. WLR's Site Manager, Laurence Beeken, looks at the study published in the International Journal of Obesity and Related Metabolic Disorders5 in 1996. Friend Yourself Thin – this new study shows online dieters who engage with other members lose 1/3 more weight. A study carried out by Northwestern University6 has found that online weight loss programme members who engaged regularly and friended other members benefited from increased motivation and better chances of success. If you find ready meals helpful, but sometimes feel a bit guilty about eating them, then this research may help ease your conscience. WLR’s Dietitian, Lyndel Costain reviews a study, published in the online journal Diabetes, Obesity and Metabolism7, found that including portion controlled ready meals helped overweight men lose weight more easily. Conducted by scientists at the University of Illinois, the men were randomly divided between two test groups, one of which included two portion-controlled frozen ready meals. At the end of the 8-week study period, both groups managed to lose a beneficial amount of weight, but the portion-controlled group lost around a third more. The researchers concluded that the simplicity and portion control of the ready meal diet meant it was easier for the group to keep to their calorie level. It also seemed to improve their knowledge of what was a good portion size. Read Lyndel’s Report Here. Dietitian Juliette Kellow finds two studies from Pennsylvania State University8 showing how eating soup before a meal can help with weight loss. Both studies showed that participants consumed fewer calories overall when they were given soup before lunch. Many celebrities are fans of the low glycaemic index diet to help keep them slim – and it seems they’re actually doing the right thing. Dietitian Juliette Kellow looks at a study published in the American Journal of Clinical Nutrition9 which supports the idea that basing our diets on low glycaemic index foods really does help to prevent the pounds from piling on. Danish researchers looked at the diets and health of almost 400 adults over a six-year period, and discovered that diets including lots of high glycaemic index foods were associated with increases in body weight, body fat and waist circumference in women. Read Juliette’s Report Here. Dietitian Juliette Kellow reports on research published in the International Journal of Obesity10 which reveals that reducing body fat could be helped along by taking a daily CLA supplement. The US study set out to investigate whether conjugated linoleic acid (CLA) – a type of fatty acid that’s sometimes used in over-the-counter slimming pills – could reduce body fat in overweight adults. The study included 40 overweight adults aged between 18 and 44 years with a BMI of 25-30. For six months, the adults either took supplements of CLA or a placebo (a pill that contains no active ingredient). WLR’s Laurence Beeken looks at a study from John Hopkins University which found that people eating home-cooked-food ate less fat, sugar and salt and consumed more fibre. Julia Wolfson and co-author Sara N. Bleich, PhD, researchers in the Department of Health Policy and Management at the Johns Hopkins Bloomberg School of Public Health11, analyzed data from the 2007-2010 National Health and Nutrition Examination Survey from more than 9,000 participants aged 20 and older. The study showed that when people cook most of their meals at home, they consume fewer carbohydrates, less sugar and less fat than those who cook less or not at all – even if they are not trying to lose weight. Read Our Report Here. In research published in the Journal of Consulting and Clinical Psychology, doctors at Brown Medical School and Dartmouth University12 found that people who had the support of a buddy who successfully lost weight were more successful at losing weight themselves. Furthermore, Studies over the years have shown that partners who team up to lose weight or get fit together are more successful than individuals who go it alone. A study from Indiana University16 showed that the 12-month drop-out rate for couples participating in a fitness program was just 6 percent, compared to 43 percent among individuals who joined the program alone. WLR’s Laurence Beeken looks at the research which recognises an integral part of any weight loss programme is support. Read Our Report Here. News from Dietitian Juliette Kellow on a study which shows that laughing can aid weight loss by increasing the heart rate and calorie expenditure. Research published in the International Journal of Obesity13 has discovered that laughter really is the best medicine for a weight problem. Ask anyone who has ever worked in an office what the main diet dangers are and they’ll say the constant temptation of sweets and chocolates left lying around for everyone to delve into. Dietitian Juliette Kellow looks at a study published in the International Journal of Obesity14 which has proved that it’s not just a myth – sweetening up staff by leaving regular supplies of chocolate in the office does actually pile on the pounds. Researchers found that office workers ate more than twice as many chocolates each day when they could see them easily. Read Juliette's Report Here. Dietitian Juliette Kellow investigates research which shows that calcium, in particular milk and dairy products, can be an aid to weight loss. But by cutting out dairy, slimmers are not only missing out on bone-building calcium, they’re also missing out on a potentially important fat fighter! Researchers at Purdue University in Indiana15 found that young women who had 1,000mg of calcium every day (the amount of calcium found in about 1½ pints of semi-skimmed milk) lost about 6lb over two years. Similar results have also been found in other studies. The American Journal of Clinical Nutrition15a reported on Dr Michael Zemel and colleagues, who analysed the diets of 32 obese adults and discovered that those people eating three servings of low-fat dairy products a day lost more than 10% of their body weight. All the research suggests that calcium alone can help weight loss, but the effects seem to be more dramatic when it’s taken in the form of dairy products. Read Juliette’s Report Here. 5'Food provision vs structured meal plans in the behavioral treatment of obesity. Wing RR, Jeffery RW, Burton LR, Thorson C, Nissinoff KS, Baxter JE. 7'Use of packaged entrees as part of a weight-loss diet in overweight men'Obesity Use of packaged entrees as part of a weight-loss diet in overweight men'. S. M. Hannum, L. A. Carson, E. M. Evans, E. L. Petr, C. M. Wharton, L. Bui andJ. W. Erdman Jr.
12'Involving Support partners in obesity treatment.' Gorin A, Phelan S, Tate D, Sherwood N, Jeffery R, Wing R.
Try Weight Loss Resources interactive tools for losing weight. You can access the calorie database and keep an online food diary, free, for 24 hours. Try it free for 24 hours. Find out where you are now, what is a healthy weight for you, how many calories you need each day to maintain your current weight and how many to reach your weight loss goal at the rate you choose. Your food diary starts the day with your calorie allowance, and, as you add things you've eaten, it tells you how many you have left. The Food Diary also keeps track of how many grams of protein, fat, carbohydrate and fibre you consume - and produces a pie chart to show you the balance of your diet. Your Exercise Diary keeps track of the extra calories you burn during exercise. These calories are added to your Food Diary's calorie allowance for the day - great motivation to do a little exercise, and exercise helps weight loss. You can calorie count your own recipes, or try some of Weight Loss Resources' recipes, all calorie counted and suitable for a weight loss diet. There's nothing so satisfying as a nice downward slope on a weight loss graph. You can record and track weight loss, inch loss and body fat percentage. There are lots more tools in the Weight Loss Resources box - and you can try them free for 24 hours, start now.